INSIDE SRI LANKA A monthly insider’s report by Royston Ellis, April 2015. 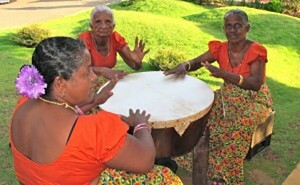 April is holiday month in Sri Lanka. Whenever a public holiday falls close to a weekend, Sri Lankans love to make the most of it and visit friends, the hill country, and the beaches. Friday 3 April is a holiday, being a Full Moon Poya Day, which makes for a long weekend. Then just ten days later, it is New Year for the Singhalese and Tamils. So the whole island goes on holiday from Saturday 11 April. New Year is traditionally the time for people living away from home to return to their villages and families. There are lots of games, like climbing a slippery pole, tug-of-war, and pillow fights, and ritual drumming. It is a period for religious observances as well, with auspicious times for performing daily duties. It’s not just two days, though. Many people take the whole week off. April is also the season for the island’s high society set, as well as the hoi polloi, to visit Nuwara Eliya to attend race meets, enjoy the flower garden competitions, boating on Lake Gregory and hotel balls. It’s a great time to be in the hills, for visitors as well as Sri Lankans. The attraction of engaging in any kind of water sports in Sri Lanka is the cost. While the seas might not be as idyllic for diving or windsurfing as in some other destinations, like the Caribbean and the Maldives, the prices are pegged to the Sri Lanka rupee, not to the US dollar. In addition, in Sri Lanka, water sports can also be enjoyed in the calm of lagoons, especially the one that forms the mouth of the Bentota River, on the west coast 62km south of Colombo. On the landside of the lagoon (the northern bank) are guesthouses and water sports centres. On the sea side, where the golden sand beach extends for more than a kilometre, are plush hotels, and more water sports centres. 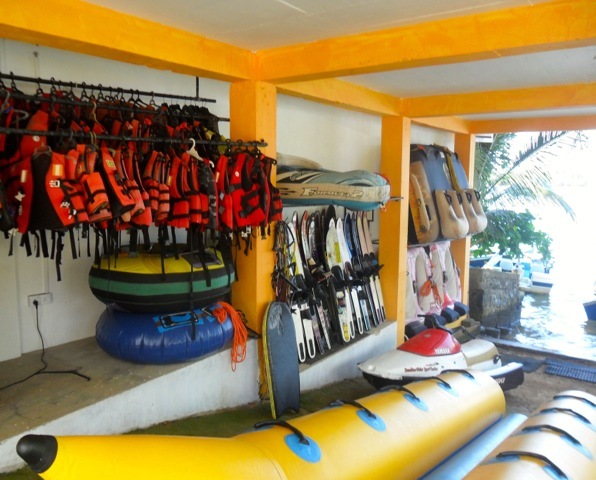 While the hotels along the beach have their diving centres and can arrange windsurfing, the independent centres cater for every kind of sport in the lagoon or at sea. The most popular water sport activity is, of course, snorkelling and diving. This is best on the west coast from November to April, while the east coast beaches at Trincomalee and Passikudah are super from April to October. The full range of PADI courses are available at some of the water sports centres; equipment can be hired and PADI-certified instructors are on hand. Sports include windsurfing, water skiing and wake boarding, and jet skiing as well as fun things like banana and tube riding while being towed by a speed boat. Arugam Bay on the east coast is renowned as a major surfing destination. Amazingly, there is even jet skiing during the April season in Nuwara Eliya, on the recently revitalised (weeds removed) Lake Gregory. As the eastern bank of the Bentota lagoon was originally a fishing settlement, it’s easy to find experts for lagoon fishing trips or, for the more adventurous, deep sea fishing on an especially equipped motorboat. For the less active, a leisurely river cruise up the Bentota River or the Madu Ganga, further south, enjoying the scenery, the flora and fauna, can be organised at any time of day, or guests can hire a canoe to explore the mangroves independently. 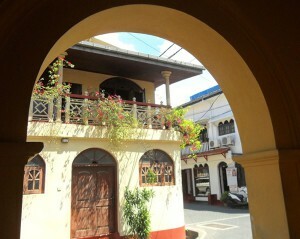 Galle Fort is unique in offering quaint, super luxurious accommodation at top market rates as well as smaller, charming hostelries, all with a sense of the past. Galle Fort fascinates because of what can be seen and bought while strolling along its cobbled streets. 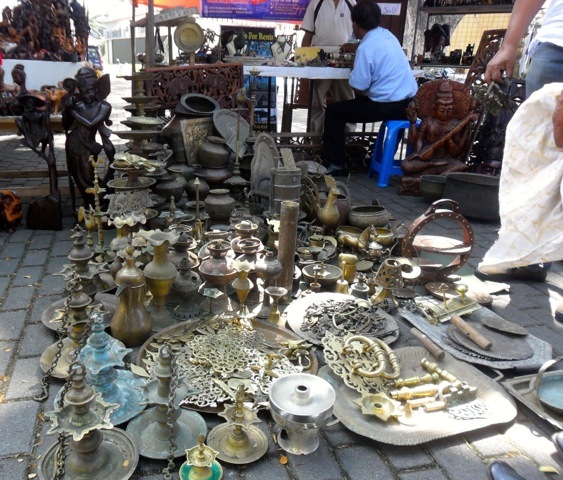 Local ‘boutiques’ (corner grocery shops selling everything) are cheek by jowl with international dress boutiques, trendsetting gift shops, art galleries, handloom emporiums, antique and gem shops and cosy coffee houses. The cobbled courtyard in front of the law courts, used as a car park, is transformed on the first Sunday of every month, into a people’s market. Here local producers (of food, clothing, toys, arts and crafts, etc.,) come to trade while musicians play. 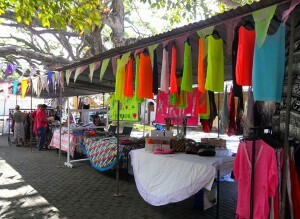 It is like a Paris flea market but with organic products and jolly music in a tropical atmosphere. Although small at present with just a few stalls, this market will surely become THE place to visit once a month, to meet friends, find bargains and enjoy the camaraderie and contemporary ambience that adds to the character of Galle Fort today. The next market is on Sunday 5 April, followed by one on Sunday 3 May 2015. The last link in the original Sri Lanka railway network was reconnected in March when the rebuilt railway track between Madhu Road and Talaimannar Pier, covering a distance of 63 kms, was commissioned by Indian Prime Minister Narendra Modi at a ceremony held at Talaimannar Pier Station. 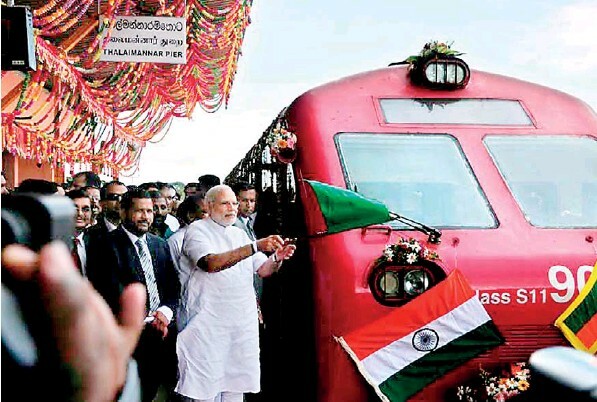 The Prime Minister, on a brief visit to Sri Lanka, flagged off the Indian-made Class S11 power set (built in 2012) on its inaugural journey from Talaimannar Pier to Madhu Road inland, a run of 45 minutes. From there the track continues to Medawachchiya Station where trains join the Northern Line linking Jaffna with Colombo. The commissioning of train services from Talaimannar Pier establishes a direct train link with Colombo after a gap of more than 25 years. At present, there is no real reason to make the journey to Talaimannar Pier but it served the ferry link between Sri Lanka and India in the past, so there are hopes the ferry to and from India might sail again soon. INSIDE SRI LANKA – A monthly insider’s report by Royston Ellis, March 2015.